Learning Great Truths Today, to be the Great Leaders of Tomorrow. 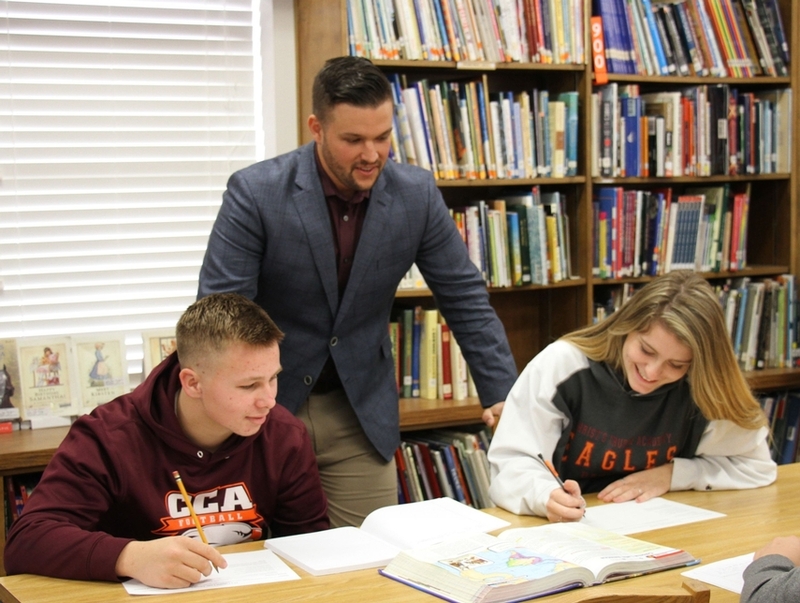 We are busy at CCA growing our students through excellence in academics, athletics, and the arts. Please join us for an open house or call our admissions director, Kelli Nolan, at 1-904-268-8667 if you are interested in admissions! Eagle Athletic Teams are SOARING! Our CCA Eagle athletes are absolutely SOARING this fall in Volleyball, Cross country, Golf, and Football! Elementary school lays the foundations for learning with our students. At CCA, we weave biblical truths into exceptional curriculum that feeds both the mind and the spirit. Middle School at Christ's Church Academy means that your student has a safe, nurturing environment to transition into challenging academics and expanding athletic, artistic, and service opportunities. CCA High School is all about preparation. Your child will be prepared for the academic rigors of college and equipped to be leaders as they enter adulthood.